The Ridley X-Ride 105 Disc, made of 7005-T6 alloy, sports a slightly more relaxed cyclocross geometry than the Ridley X-Night which increases its versatility. Delivering the same modern technologies used to design the X-Night, it’ll enthusiastically tackle a full cyclocross season with you, but as it is not a pure cx race machine, it is also perfectly suited for long commutes or to serve as your winter training bike. Go ahead and take it on your local mountain bike trails for a bit of technical fun. The X-Ride can handle it all, its internal cable routing keeps cables clean and easy to maintain. With the incorporation of Shimano hydraulic disc brakes the X-Ride Disc is more versatile than ever; no matter the weather conditions, you’ll always be in control of your speed. This especially comes in handy when taking on slippery mud descents where expert speed modulation is required. It can also be key in your rainy commute where you may need to come to a full stop in a split second. 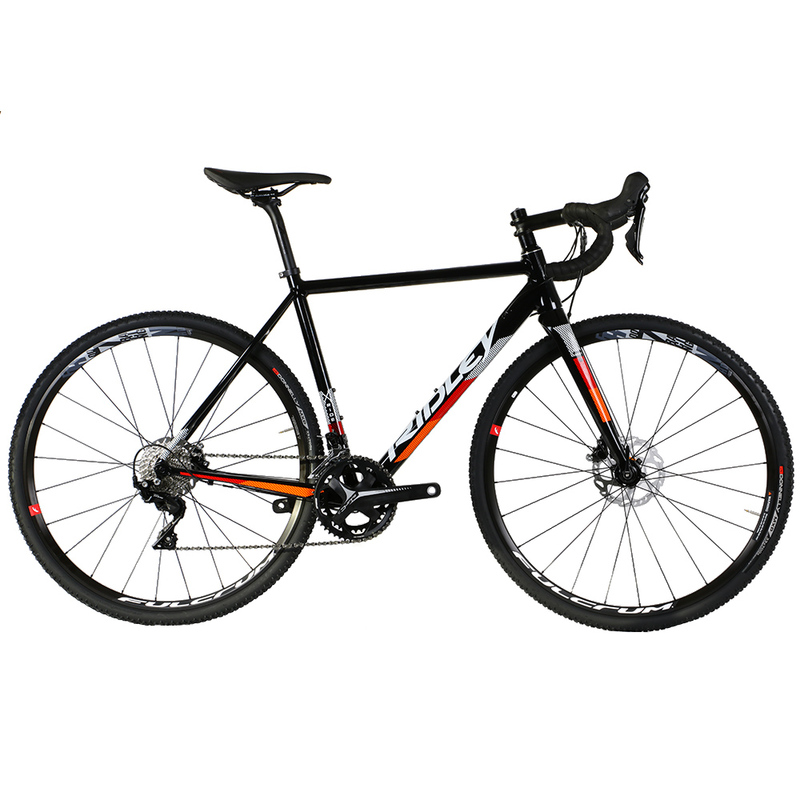 The Ridley X-Ride 105 Disc Cyclocross bike features the new Shimano 105 R7000 11-speed mechanical groupset providing crisp, predictable gear shifts every time with braking taken care of by Shimano BR-R7070 hydraulic disc brakes. Ridley have specced lightweight, robust Fulcrum Racing 700 DB disc-brake-specific wheels with fast-rolling Donnelly MXP 33mm tyres which provide plenty of grip in the muddiest conditions.